An exploration of bioenergetic versus biochemical response testing. You might be skilled in using applied kinesiology in your practice for testing foods as well as nutritional or herbal supplements. You likely studied the body’s innate intelligence, which is a core principle in not only chiropractic but also naturopathy and homeopathy. As you may recall, a strong indicator muscle becomes weaker when challenged by a harmful substance, and a weak indicator muscle becomes strong when challenged by a therapeutic substance. This kind of testing can be extremely valuable in addressing key issues with patients. But in the homeopathy world, the rules aren’t the same. Corrective approaches in allopathic medicine also use the law of similars, i.e., allergens in allergy desensitization shots and viruses in vaccines, but conventional treatments don’t use homeopathically diluted and potentized safe levels. Homeopathy is energy medicine—it is vibrational in nature, like sound. The body will either respond to the energy or not. If you don’t need a particular homeopathic remedy, your body won’t respond to it at all. Food, herbs, and supplements are biochemical substances that must be processed by the body for their nutritional constituents to be effective. Since many supplements are lab-created analogues, not foods from nature, their patterns are more like drugs. Negative side effects and contraindications may occur upon ingestion. Because not all supplements are healthy, muscle testing is valuable for determining what is helpful and what might be harmful. It can benefit patients’ health and save them money. Although they are closer to their natural state than most supplements, herbal remedies are also biochemical, even when consumed as tea. 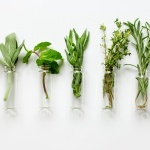 The minerals and nutrients from the herbs are absorbed into the water, but they are still biochemical because the nutritional component is above the molecular level. Testing for the effectiveness of homeopathic medicine may be accomplished through bio-response testing (BRT). First, you evaluate the muscle. Is it strong or weak? When the homeopathic medicine remedy is correct, the muscle may go from strong to weak or vice versa. It’s a reflex either way and depends on how the muscle first tested. What you are looking for is a change. An alteration in muscle strength signals a need for the remedy. When an initially strong muscle tests weak while the patient is holding a homeopathic remedy, it signifies that the body recognizes and is responding to the formula positively. It is a “yes” message that has proven true through decades of homeopathic practice. Likewise, when a weak muscle becomes strong with a homeopathic formula in the body’s energy field, the body is saying “yes” as well. If there’s no response from the body, a strong muscle stays strong, and a weak muscle stays weak. Some may still question the scientific validity of muscle testing, but many have seen it prove true. Scientific device engineers have only recently developed instruments sensitive enough to begin measuring and validating homeopathy. The process may be similar to a reflex response: When a nerve is sharply stimulated, the body reacts automatically. Homeopathy’s law of similars allows the body to overcome the symptoms it is experiencing. The body’s innate intelligence sees from a broader perspective than that of your mind. Perhaps it works like tuning forks: When one is sounded, the vibrational pattern travels across the room to make another fork of that pitch start vibrating. The body may respond to the pattern of the homeopathic substance and then clear the disturbance at the energetic level. Now that technology has developed to the point that scientists are beginning to measure how homeopathy works, you can see the potential of this new era. As members of the chiropractic profession, you have weathered the storms of skepticism throughout the decades, knowing that nature holds the keys to healing if you only work with it instead of against it. 1 Ullman D. “Luc Montagnier, Nobel Prize Winner, Takes Homeopathy Seriously.” The Huffington Post. http://www.huffingtonpost.com/dana- ullman/luc-montagnier-homeopathy-taken-seriously_b_814619.html. Published January 30, 2011. Accessed March 2015.